St. Agnes is in the heart of Poldark Country, and is a stunning coastal village 9 miles north of Truro. During your free time you can walk to the nearby beaches, meander the cliffs, sunbathe, take surf lessons, book a massage, browse the village shops, hang out at the cozy cafes, or explore the numerous pubs here at will. 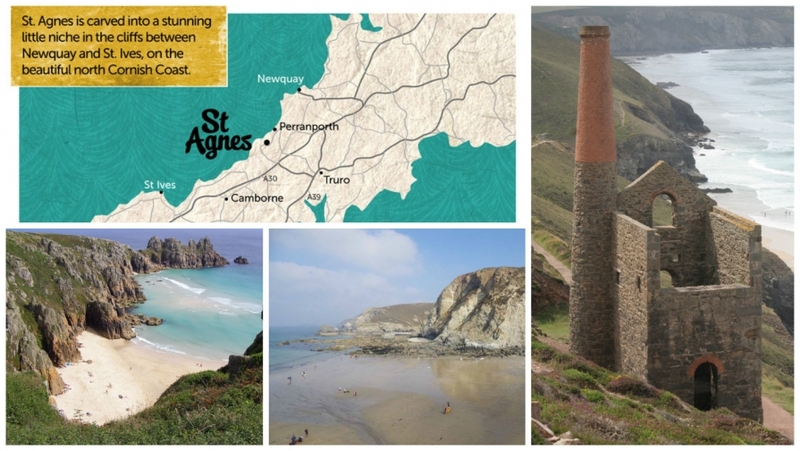 St Agnes village itself is small enough to explore on foot (if you don’t mind a few hills! ), and the area is a haven for walkers and cyclists. If you’d prefer to leave the car at home it’s only a 40 minute taxi ride from Newquay Airport, or 15 minutes from Truro train station. By car, you enter the St. Agnes area straight from the A30; just head to the coast from the Chiverton Cross roundabout. I would like to thank you again for an amazing weekend, I really enjoyed myself and felt that I got a lot from the retreat, we also enjoyed exploring the local area. It was lovely meeting you and hopefully we will meet again, we will definitely be visiting Cornwall again in the near future!